John Koegel reminds us, early on in this broadly conceived, superbly researched, and elegantly written study, that the population of New York City in the late 19th century held the third-largest group of German speakers in the world, after Berlin and Vienna. But, of course, there was a significant difference. German-speaking New Yorkers lived in a place very different from that of Germany or Austria. Here they inhabited a world in which they were outsiders (however well accepted and however large their numbers), a world that spoke a different principal language and dozens of other minority languages, a world in which the immigrants and their children and grandchildren sought to establish their own role and come to grips with a varied and polyglot society. 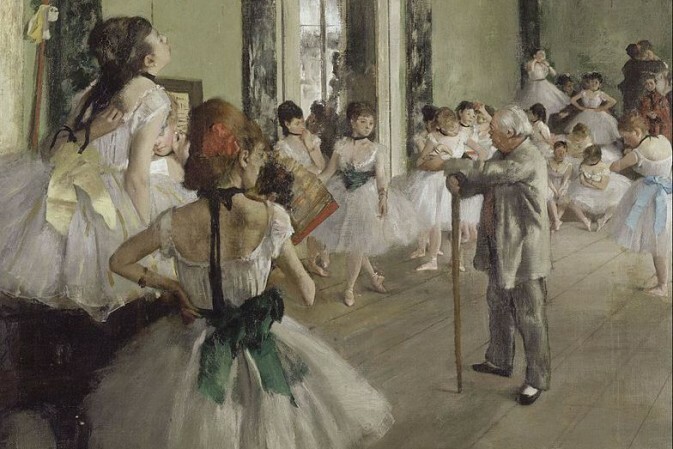 One of the ways they learned about American life and experimented with their own place in it was through the theater in their own language, including works imported directly from home—thus maintaining at least a sentimental tie to the “old country”—as well as works newly created in German dealing with issues first encountered on this side of the Atlantic. Full disclosure here: A quarter-century ago H. Wiley Hitchcock invited me to be a visiting scholar at the Institute for Studies in American Music at Brooklyn College. I proposed offering a seminar dealing with musical theater in New York between 1885 (the date of the hugely successful production of The Mikado) and 1915 (the date of the first “Princess Theater” show of Jerome Kern), with the idea of pursuing the various elements from Europe and the United States that fused into the Broadway musical comedy. I encouraged the students to choose research topics that were, if possible, related to the musical theater of their own ethnic heritage. One of the master’s candidates in the class was John Koegel, who in that semester first discovered Adolf Philipp, the main figure of the vastly expanded study that lies before us now. In the intervening years I followed his work on Mexican music and read an article about Philipp in American Music (volume 24, No. 3) in the Fall of 2006. But the present volume comes as a most welcome and delightful happy shock, because it is clear that Koegel continued pursuing this vast subject in the decades since we met and briefly worked together in the classroom. 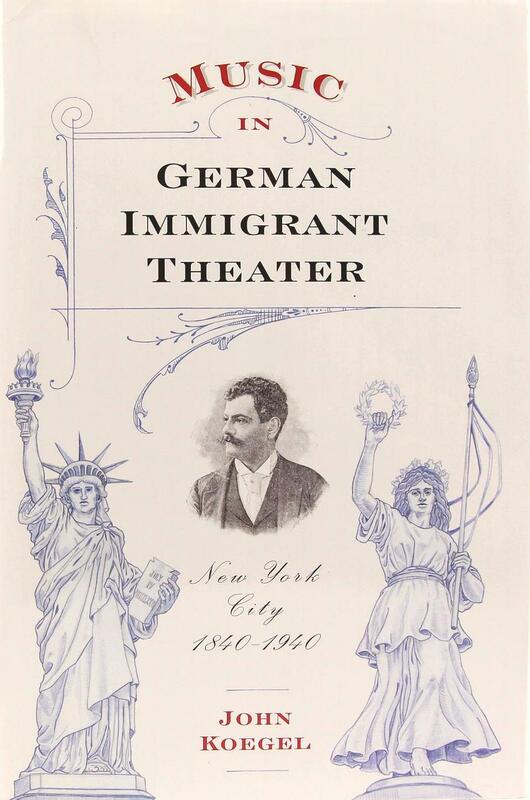 Beautifully produced with over 90 illustrations, many musical examples (including some complete songs), extensive appendices (about which more later), and a text that provides a great deal of information but is so well organized and so carefully shaped that one never feels lost among a welter of facts while taking in the arc of the whole story, Music in German Immigrant Theater can hardly fail to be the standard study of the subject for decades to come. The narrative is divided into three fundamental parts. Part I (“Musical Theater in Little Germany, 1840-1918: An Imported European Tradition”) traces, in five chapters of overlapping chronology, surveys of the origins and development of German Theater in New York in a changing series of performance spaces as the center of the theatrical world moved gradually uptown from the Bowery to 14th Street, around Union Square. The types of works presented to their audiences ranged from the musical farce (Posse) and folk play through operetta to serious opera—though, as was true of other traditions in mid-19th-century America, some performers and companies ranged widely over different styles, high and low, to meet the range of public taste and attract large enough audiences to keep the company solvent. 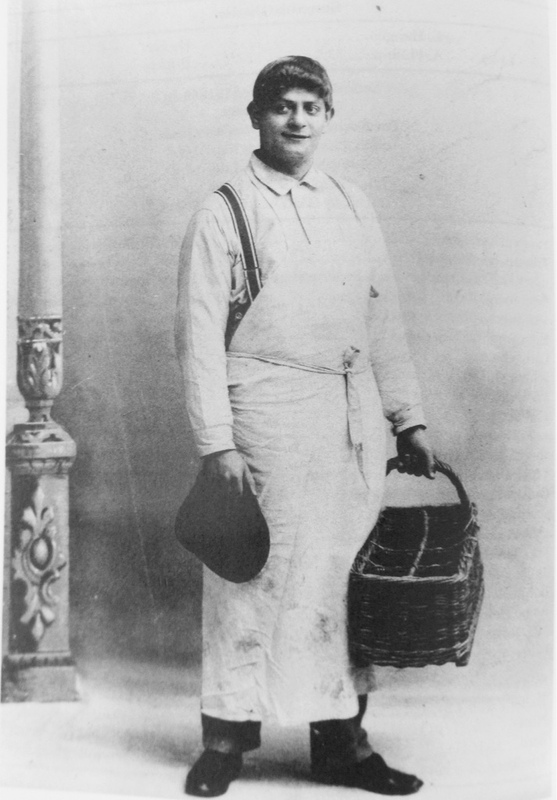 The great age of operetta in the last quarter of the century was as busy in New York as in Vienna and elsewhere, with a particularly extensive history at the Thalia Theater in the 1880s. The climax of this portion of the book is the account of Heinrich Conried’s Irving Place Theater, which had the highest technical aspirations and aimed at a particularly cultivated level—an irony, since after the decline of German-language performance owing to the World War, the theater survived as a performance venue for the stripper Gypsy Rose Lee. 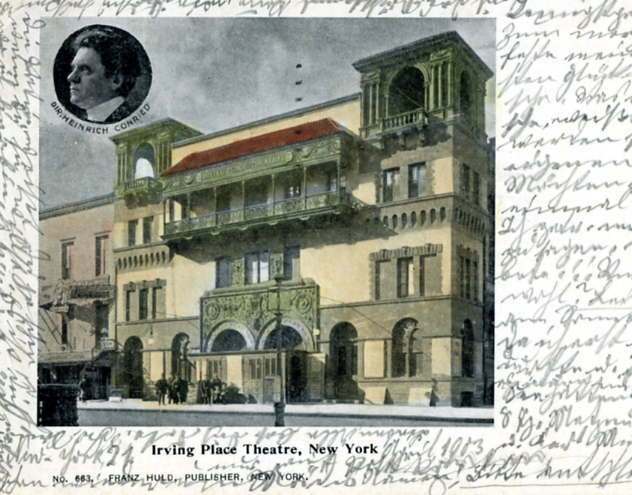 Postcard, dated April 1903, showing the Irving Place Theatre in New York. 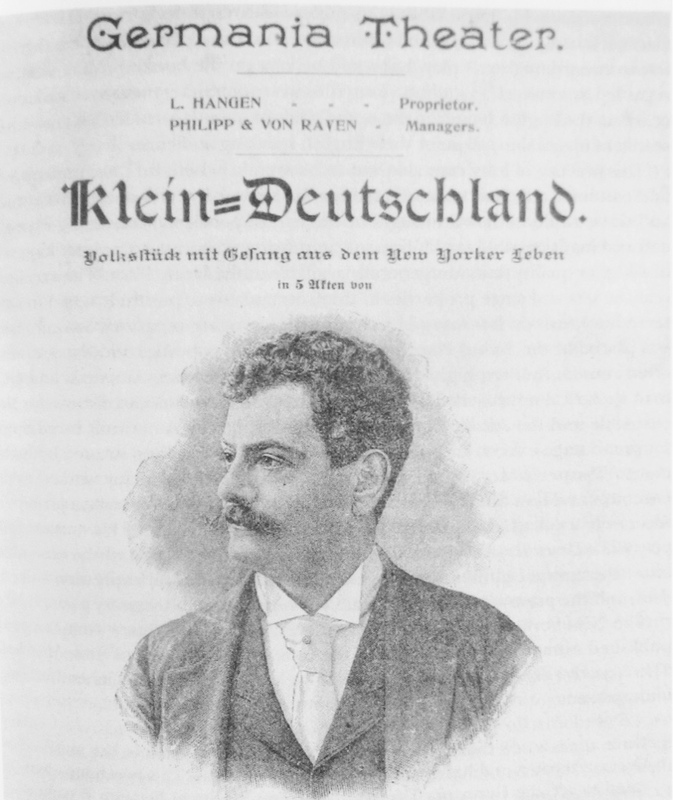 The four chapters of Part III (“Adolf Philipp and the German American Immigrant Musical”) is the goal and capstone of the entire volume, offering a detailed discussion of the career and work of the most important creator-performer of the whole tradition, Adolf Philipp (1864-1936). As with other leading figures in the earlier part of the story, Koegel does not attempt the impossible task of giving a full account of every single work, however significant, but rather selects an important representative work for detailed discussion. Here it is Der Corner Grocer aus der Avenue A, produced in 1893. Among the ways in which the show became a model for many others in the next decade was its New York-based plot peopled with character types of the German theater. Koegel draws from this work characteristic elements that were very often part of the rest of the repertory: playing on New York City locales and types, elaborate staging (with many scene changes); cross-dressing (men dressed as women more often than the “pants parts” often assigned to mezzos in European opera):, references to contemporary events; sentimental representation of the Heimat (homeland, i.e. 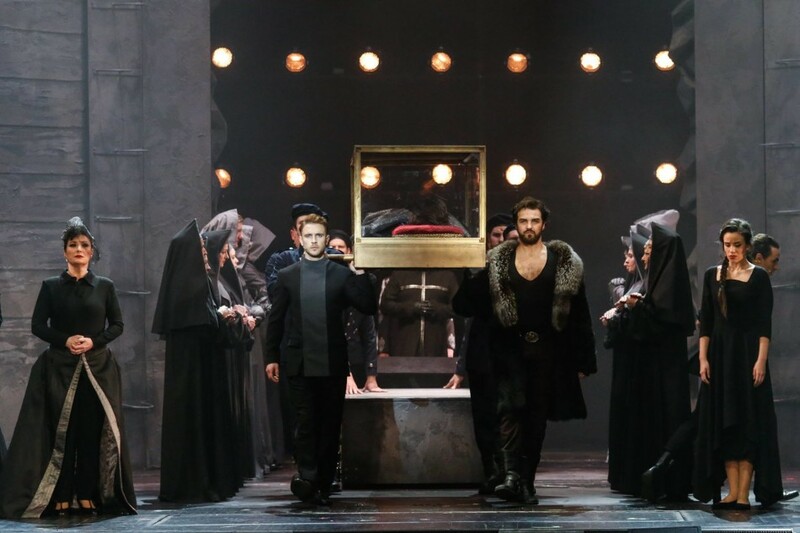 Germany), especially in song; and—unsurprisingly, given the ethnic makeup of both performers and audience—the treatment of Jewish characters. Happily, the study is not limited to reading about the work of Philipp and his collaborators (though the discussion is unfailingly insightful) but also offers us a chance to experience some of this music on a fine CD included in the book, consisting of twenty musical numbers (songs with piano accompaniment and dances or marches played on the piano). In the case of the vocal works, the score and/or lyrics are included in the book itself. Sixteen of the twenty items have music or lyrics or both by Philipp, allowing the reader-listener to come to the end of the volume with a decent sense of his importance in the tradition. Koegel ends his narrative with a compact treatment of Philipp’s activities after the World War made further extensive German cultural activity in New York problematic at best, followed by a conclusion tracing the general decline of the German American stage in the decades between the world wars—a poignant conclusion to a long a fruitful cultural activity. But I promised earlier to come back to the Appendices. After the historical and analytical narrative comes to an end (on page 380), the volume continues with another hundred pages offering an astonishing wealth of documentation, both supporting the narrative and extending it in ways that one hopes might be fruitful for later researchers—thirteen separate appendices including surveys of venues used for German-language performances; of premieres of opera and operetta in New York by date (and not only in German, but also premieres of the German works sung in Italian, French, and English! ); a listing of the core operatic and operetta repertory arranged by composer with an indication of which seasons, and in which theater, each was given; a title list of musical plays, operettas, and operas given in German, cross-indexed by genre, composer, librettist, and decades in which it was produced (giving a bird’s-eye view of the developing repertory); a list of Adolf Philipp’s stage works listed with information about productions and genres; a discography of recordings (historical) of numbers from Philipp’s stage works; and the German repertory of the Metropolitan Opera. 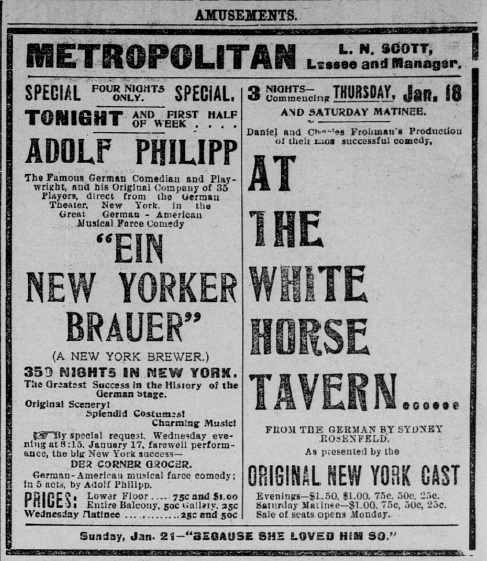 Newspaper advertisement for “Ein New Yorker Brauer” (New York Brewer) in a Adolf Philipp production. But, for all of the rich documentation available in the appendices described above, the most suggestive of them all is Koegel’s Appendix A: “Ethnic Theaters in the United States, ca. 1840-1940.” Here he lists non-English-language theaters that were active in cities throughout the country representing 15 different linguistic/ethnic traditions. Thirty-four states are represented, with theaters indicated for 137 cities! Naturally we are not surprised to find 14 of the 15 languages represented in New York City (only Japanese is not represented in this period), but San Francisco had theatrical activity in ten of the languages, and Lawrence, Massachusetts boasted theaters in French, German, Italian, Polish, and Portuguese! Students of music and the theater can find in Appendix A hints of possible research topics in the field for years to come, in almost any part of the country. If that should happen, John Koegel’s splendid volume will not only prove to have been the fundamental explication of a particularly long-lasting and influential tradition in our theatrical history, but also a starting point for dozens of future studies that will enrich the picture everywhere in the country.